People generally are averse to violence. However, at times, it becomes imperative to resort to violence for self-defense. It might be because someone is trying to mug you or troubling your friends or family or for any other valid reason. Using firearms or other weapons might be the first choice, but what if you don’t have a weapon on you which you may not such as in a movie theater or a sporting event? 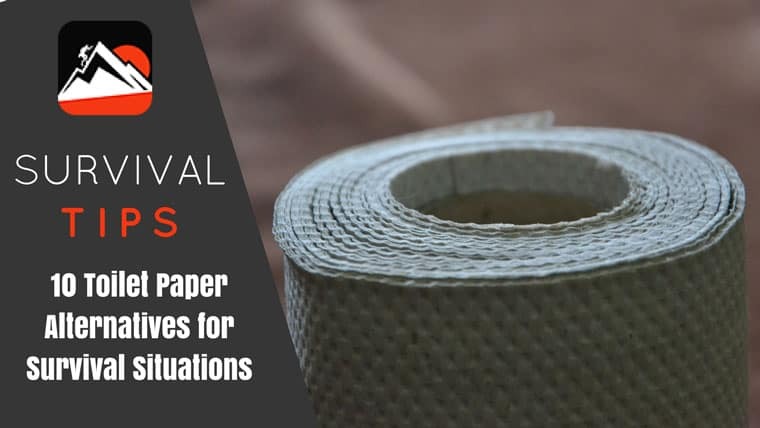 Under these types of circumstances, martial art is an excellent option. Martial arts can be learned by either of the sexes. Besides teaching you how to protect yourself without any weapon, martial art is also a good form of exercise for building strength, stability, and flexibility. For best results, the type of martial art you wish to practice should be chosen according to your physical characteristics. Most martial art forms have originated in Asian countries. It takes years of dedicated practice to master any form of martial art’s style. Ideally, training for martial arts should begin in childhood. Just watch the stellar new version of the Karate Kid movie and see all those young Chinese kids practicing fighting. It, however, does not mean that you will not be able to train as an adult. Many people learn martial arts because they want to be able to defend themselves and other reasons. As hand to hand combat requires superior strength and focus, martial art is more than a self-defense technique. In Asian cultures, martial arts is linked to a spiritual and philosophical way of life. It is seen not as mere exercise form or self-defense technique but as a way of life and part of the culture. Most martial arts styles have come from Japan and China, while few have known to have emerged from Thailand and Korea. The Japanese and Chinese styles are the most ancient and the most popular today. Before you pick any martial arts style, you must determine the reason behind your interest in it. Yes, we are talking about martial arts for self-defense, and while that is one of the main reasons why people get into martial arts in the first place, there are also various other reasons for learning a martial art. Martial arts is one of the few spiritual-physical training approaches, where your mind and body must be in sync. It is also poignant for strength training, fitness, and weight loss. Self-defense is only a byproduct. For flexibility and agility, Taekwondo and Karate are ideal choices. For fitness and stress relief, Tai Chi and Aikido are great. For cardiovascular exercises and weight loss, Muay Thai and Capoeira work best. If you are interested in combat training, then the best styles are Kendo, Jujitsu, Judo, Jeet Kune Do, and Krav Maga. It takes a lot of time to master any martial arts style and a lot of physical tenacity and strength. Learning or practicing any martial arts style without proper guidance can lead to physical burnout and exhaustion, especially for someone not used to such physically strenuous activity. It also takes a huge amount of patience and perseverance. You must be prepared to invest significant time, patience, and physical tenacity into learning any form of martial art. If you are an active, restless person, martial art is a good way to channel that energy. However, if you have a calm disposition, then you must choose a style that is more contemplative and deliberate. Because there is a strong connection between the mind and the body in martial arts, it is necessary to choose a style that suits your personality as well as your physical characteristics. Although there are hundreds of martial arts styles out there, some are more suitable for self-defense than others. 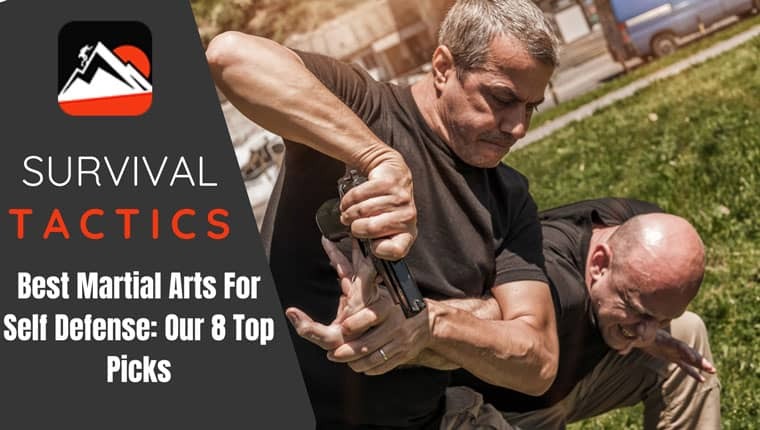 Here we discuss the top 8 martial arts that you could take up for self-defense. Also called Jujitsu, this is one of the earliest martial arts styles from Japan, taught as a basic fighting technique to samurais. Martial arts like judo and Aikido are different forms of Jujutsu. As one of the oldest martial art forms in the world, Jujutsu has had a major influence on some of the most popular martial arts styles. In the ancient times, the samurai’s were known for their deadly skills with the sword and the bow and arrow. In those days, these were the weapons of choice for combat. During combat, it was possible that the combatants might lose the sword or run out of arrows. Jujutsu thus was developed for the samurai to protect themselves if they were ever unarmed against an opponent. Jujutsu thus was developed to be as effective as armed combat. The English translation of Jujutsu is ‘art of softness’. However, there is nothing ‘soft’ about this martial arts form. Over the years, there have been various versions of Jujutsu, most popular among them being the Brazilian Jiu-Jitsu. While traditional Japanese Jujutsu dates to 1333, Brazilian Jiu-Jitsu is comparatively new, dating back to 1914. But almost all forms of Jujutsu involve close combat and ground fighting. The defining feature of Jujutsu is using the opponent’s kinetic energy or aggressiveness against them. There are a lot of similarities between Jujutsu and wrestling. Both are combat sports and involve grappling and tackling. In Jujutsu, the fighter is taught to redirect the attacker’s kinetic energy in a way that not only renders the attack useless but also allows the fighter to counter-attack. Most of the Jujutsu moves involve throws and joint locks, by putting pressure on a joint like an elbow or knee. When joint locks and throws are used in conjunction, they become effective as a self-defense technique. However, there is also a downside. Because Jujutsu involves ground fighting and grappling, if you are propelled to the ground by the attacker in a real-life situation, you could be in real danger, because Jujutsu doesn’t teach you what to do if you’re down. Once you’re on the ground, you must give up. Taekwondo developed in Korea more than 5,000 years ago. In fact, the development of Taekwondo and the country of Korea happened simultaneously. The beginnings of Korea go back to 2333 BC when Tangun founded ancient Korea at Asadal. In the beginning, there were three major kingdoms on the Korean peninsula. At different times, a different dynasty came to power and introduced their own fighting techniques. Too bad half of Korea now is a giant prison and the southern half is too weak or lacks the resolve to do anything about it but this is another topic. There is no written documentation of those times, but it is known that people during that time were mostly hunters and had their own weapons and fighting techniques for both their livelihood and protection. Out of the three kingdoms, Silla was the weakest and had a hard time protecting itself from the two other powerful kingdoms, Koguryo and Paekje. That is why the 24th ruler of Silla formed a group of warriors called HwaRang, who were exceptionally trained in specialized martial arts with the sword and bow and arrow. The HwaRang also developed an old unarmed fighting technique called SooBak, which mostly involved foot fighting, but the HwaRang also included hands. Later, the Buddhist monk Won Kang took charge of the group and took the martial arts skills to an all new level that involved both mind and body. It became a way of life for the HwaRang. Although this was the beginning of Taekwondo in Korea, the martial art style as we know today came into existence only after 1955. Until then there were five different martial art academies or Kwans in Korea. Each of their martial arts styles was varied. After several failed attempts to unify all these major academies, it became a reality only in 1955. The name of the unified martial art form was chosen to be Taekwondo. The defining feature of Taekwondo is high spinning kicks. There is no grappling or ground fighting in Taekwondo; it is mainly about kicks. If you’ve ever watched a martial arts movie with lots of flying kicks and punches, it was probably Taekwondo. This is what makes it such an effective self-defense technique. Taekwondo is also the only martial arts to be an Olympic sport. Most martial art enthusiasts will not even consider Aikido as a self-defense technique because Aikido does not intend to hurt or injure the attacker. Rather, it is a way of finding a peaceful resolution to the conflict. In Aikido, there is great emphasis on the safety of both the fighter and the attacker. Fittingly, Aikido has been nicknamed ‘The Way of Harmony of the Spirit’. Aikido was developed by Japanese martial arts expert Morihei Ueshiba in the 1920s. He developed Aikido as a synthesis of various other martial art forms, including Daitō-ryū aiki-jūjutsu, Tenjin Shin’yō-ryū, Gotōha Yagyū Shingan-ryū, and Judo. Daitō-ryū had the maximum influence on Aikido. This is what Steven Seagal mastered and used to make action movies. A lot of the technical structure of Aikido is derived from swordsmanship. Because Ueshiba was deeply influenced by philosophy, spirituality, and compassion, he incorporated these into Aikido. In fact, the core philosophy of Aikido is to not harm the attacker but safely redirect an attack so that both the fighter and the attacker are unharmed. Although this leads many people to believe that Aikido is not the best self-defense technique, it is actually better than most others as there are fewer chances of ending up hurt or injured while defending yourself. Since Aikido combines various martial arts into one, it takes a longer time to master. It’s also one of the most complicated martial arts to exist. If you are looking for something that’s quick and easy to learn, Aikido is not it. Those getting into Aikido at a later stage take a long time to master the art of peacefully redirecting attacks without any kind of aggression. Like Jujutsu, Aikido also involves manipulating the momentum of the attacker to redirect attacks. Grappling and throws are two of the defining features of Aikido. Just because it is a more peaceful martial art, do not assume that it’s not effective as a self-defense technique. This is an Israeli martial art developed in the 1930s by Imi Lichtenfeld, a famous boxer, wrestler, and gymnast. Krav Maga means ‘contact sport’ in Hebrew and is one of the deadliest martial art forms in the world, created specifically for self-defense and protection. There’s nothing fancy about Krav Maga. The moves can get down and dirty, which is not surprising because Krav Maga has its origins in street fights. In the 1930s, anti-Semitic groups were on the rise in Czechoslovakia, and their main purpose was to terrify the Jewish community. A Jew himself, Lichtenfeld decided to come up with a defense mechanism of his own to protect himself and his loved ones. So, he formed this new fighting technique and taught it to the group of young vigilantes he gathered to guard the streets and protect the Jewish community from the anti-Semitic hooligans. The defining feature of Krav Maga is that there is no fighting technique at all. It is not designed for general self-defense purposes. Rather, it is for life and death situations where you must survive under any circumstances. No wonder it is the official fighting system of the Israel army. There are three major principles of Krav Maga. The first principle is to counteract the threat. The second principle is to attack and defend at the same time. In most other martial arts, first, you must defend and then attack. But in Krav Maga, you defend in a way that gives you an opportunity to attack. The third and most important principle is to attack the vulnerable places in the body. These include the eyes, face, throat, neck, fingers, and groin. Krav Maga is easier and quicker to learn than most other martial art forms. But instead of all-round self-defense, it is best used for intensely dangerous situations. If you have watched any of the Kung Fu Panda movies, you will be aware that Kung Fu is one of the deadliest and most effective martial arts for self-defense. Wing Chun is a type of Kung Fu, the most notable practitioner being the iconic Bruce Lee. Wing Chun is a traditional Chinese Kung Fu style and a close combat martial art form utilizing striking and grappling. It was developed in the 17th century but its history is a combination of both fact and fable. The commonly accepted history of Wing Chun is that the Buddhist nun Ng Mui developed it to be a martial art form that any person could effectively use regardless of height, size or structure. It was mainly created for women. Wing Chun was initially only taught by Buddhist monks, and later various other branches of Wing Chun had developed. Wing Chun was based on the movements of animals, which allow the fighter to effectively block an attack and strike. One of the most famous practitioners of Wing Chun was Ip Man, Wing Chun grandmaster, and Bruce Lee’s teacher. The wooden dummy used by fighters to practice the craft was also developed by Ip Man. The defining characteristic of Wing Chun is balance. Wing Chun fighters will rarely be caught off balance or in a poor defensive position. Like Krav Maga fighters, Wing Chun fighters also attack and defend at the same time, but they fight at an extremely close range. On the downside, Wing Chun is mostly about the hands and does not fully involve the feet. The main combat element is striking, rather than grappling or ground fighting. This means Wing Chun doesn’t provide much opportunity for self-defense, because you need to stand in a place and fight and cannot tackle your opponent to the ground. Not ideal for real-life self-defense situations. As the name suggests, this martial art form originated in Thailand. It is not only one of the most popular martial art forms in the world but is also most effective for self-defense. The defining feature of this martial art is the use of each body part as a weapon. For instance, the hands are used as swords and daggers, the elbows are used as a hammer, the knees are used like an axe, the legs like a baton, and the forearms and shins like a suit of armor. It’s also called Thai boxing and is a combat sport in Thailand. Because Thailand is surrounded by other nations, it was always under attack by other countries. Muay Thai was one the deadliest martial arts back then and was passed down by soldiers to the next generations. There were several battles between Thailand and other nations, and only the strongest fighters survived, who then passed on to the next generations the best techniques of Muay Thai. This type of martial art is what Tony Jaa has brought to the forefront. Over the years, Muay Thai has undergone various innovations, and become more powerful. Although not an Olympic sport, Muay Thai is recognized by the International Olympic Committee and is also included in the World Games since 2017. Muay Thai utilizes kicks and punches, as well as knees and elbows. Karate is synonymous with martial arts. For most people, martial arts mean karate. In fact, a lot of people tend to assume that Karate is the only form of martial arts. Karate is of Japanese origin, developed in an island called Okinawa as an empty-handed combat technique because weapons were banned on the island. Karate turned out to be an all-round self-defense technique because of the involvement of grappling, kicks, punches, and even blocks. Karate is one of the most common martial art forms and is also affordable to learn. The emphasis is on strikes, be it punching or kicking. Karate is all about strikes and kicks, and that is why the hands and legs are used equally. There are various styles of Karate: Kobudo, Kata, Kumite, Bunkai, and Kihon. It also incorporates Japanese cultural influences, so your mind and personality are in sync with your body. Because Karate uses both arms and legs for combat and also grappling and sparring, it makes for one of the most effective self-defense techniques. When discussing martial arts, it is a no-brainer to include Brazilian Jiu-Jitsu. Although derived from traditional Jujutsu, Brazilian Jiu-Jitsu has become more popular over the years, particularly because of its inclusion in the UFC. It is heavily influenced by Judo, formed by Jigoro Kano in the early 20th century. When one of his students Mitsuyo Maeda migrated to Brazil from Japan, he started teaching Jiu Jitsu to the local people, giving rise to Brazilian Jiu-Jitsu. The Gracie brothers – Carlos and Hélio – were the first students of Maeda. But Hélio soon realized that it wasn’t for those with a smaller size. He then decided to modify Jiu Jitsu to suit those with a smaller physique, which came to be known as Gracie Jiu-Jitsu. What makes Brazilian Jiu-Jitsu an effective self-defense technique? It is the ability to take down an opponent even if you are small. This is also the most major difference between traditional Jujutsu and Brazilian Jiu-Jitsu. Almost all UFC and MMA fighters train extensively in Brazilian Jiu-Jitsu. It’s also called human chess, because of how intellectual it is. With all these different martial arts forms out there, the choice entirely depends on your level of strength, fitness, physique, and purpose. While all martial arts have something in common, the truth is, any of them practiced with dedication and mastered to the fullest can be great for self-defense.